Hosting overnight guests always requires some work, but it’s extra challenging when you live in a small apartment. If your mind is spinning with visions of beauty products cluttering the bathroom counter and suitcases splayed open across the living room floor, don’t worry. Accommodating guests in a space-challenged apartment doesn’t have to be a nightmare, or even a lesson in patience. With some extra effort and a positive attitude, you can make the experience comfortable and enjoyable for everyone. 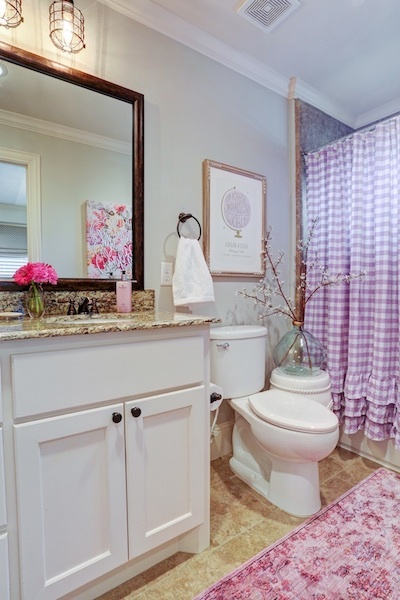 Next, walk through your apartment and find areas where you can make room for your guests’ belongings. 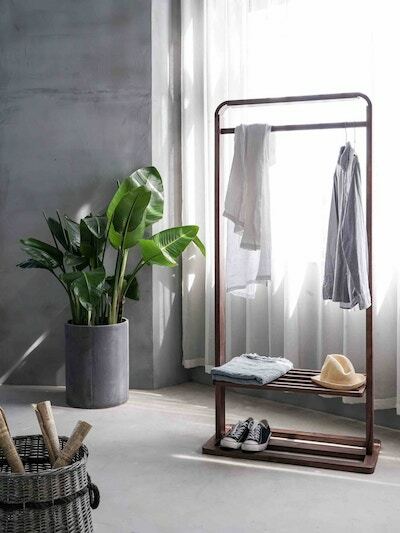 Leave a few hangers open in the coat closet, or invest in a garment rack to make unpacking easier. You can even rearrange your coffee table or sofa to make a spot for luggage. 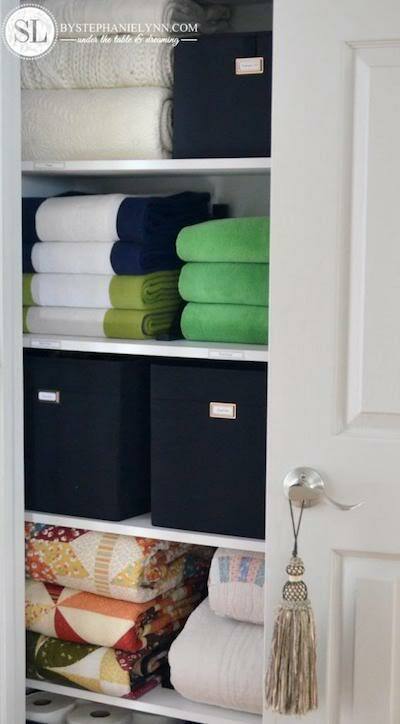 Clear space in the bathroom, too — whether it’s an entire cabinet drawer or just a shelf riser. 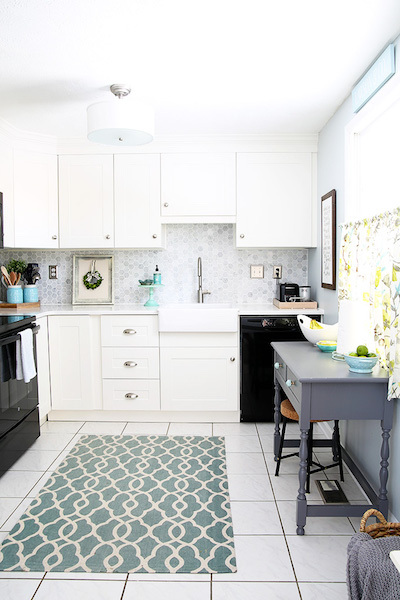 Pro Tip: Check out these incredible cleaning tips to get your place sparkling on short notice: 26 dazzling deep cleaning tips and 35 powerful spring cleaning tips and tricks from professional organizers. If you don’t have a futon, pull-out sofa, or guest bedroom complete with an actual bed, your best bet is to invest in a high-quality air mattress. Wirecutter rounded up the best air mattresses currently on the market. Here are some key takeaways: Look for extra cushions, a velvet-like top so the sheets don’t slide around, and a pump that plugs into the wall. 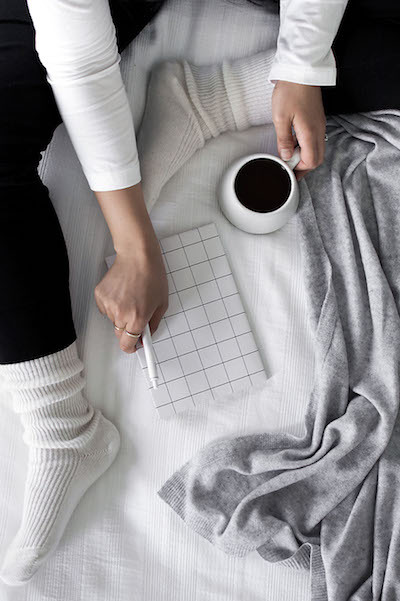 You may not be able to provide your guests with a five-star mattress that’s somehow equally soft and firm, but you can give them the next best thing: comfortable sheets and cozy blankets. 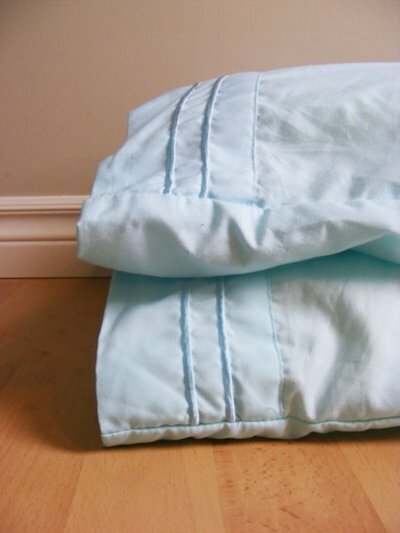 You already know to use cotton or linen during warmer months, and flannel sheets during colder ones. On extra chilly nights, The Washington Post advises laying a blanket between the mattress and bedding to provide additional warmth. Don’t forget the pillows! Liz Marie recommends keeping a variety of pillows out, so guests can choose to their liking. Also keep out a few extra blankets… just in case. If your guests are sleeping in your living room or another common area, do what you can to make it a comfortable experience. First and foremost: Position your guests’ air mattress strategically. The best spot is near a lamp or light switch, so they don’t have to fumble around in the dark. Also, make sure you have curtains or blinds that block out streaming sunlight and the glow from street lamps. If not, opt for a snug, high-quality eye mask. If possible, Reader’s Digest recommends positioning the mattress at the foot of your sofa so your guest has a makeshift headboard. Other thoughtful additions, like a white noise machine, fan, power strip for charging devices, and effective earplugs, can make all the difference between a restful snooze and a night of tossing and turning. Your guests may not have their own room, but they can still have a taste of hotel life with little pampering embellishments. Think mini toiletries (especially convenient if you grabbed some the last time you stayed at a hotel), color-coordinated towels, and even a bathrobe or slippers. When hosting guests in a studio, privacy is hard to come by. 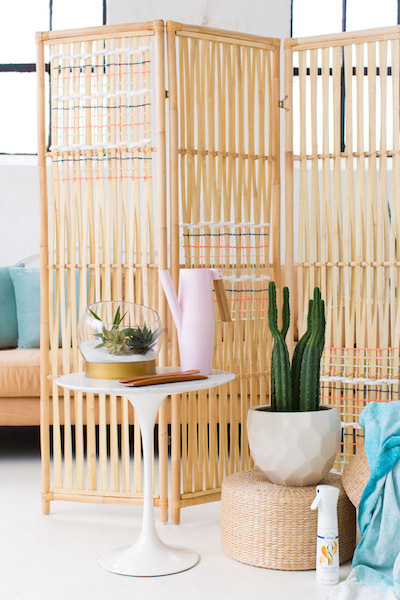 A folding screen makes perfect temporary room divider and extra changing area. If you have a tiny living space, consider putting away your guests’ bed during the day so you have more room to hang out. Yes, it’s a hassle to unmake and remake the bed. But the extra breathing room will be well worth the 10 minutes of effort. Store your sheets, pillows, and deflated air mattress in a nearby coat closet or stack them in a basket to slide into the living room corner. Another option? 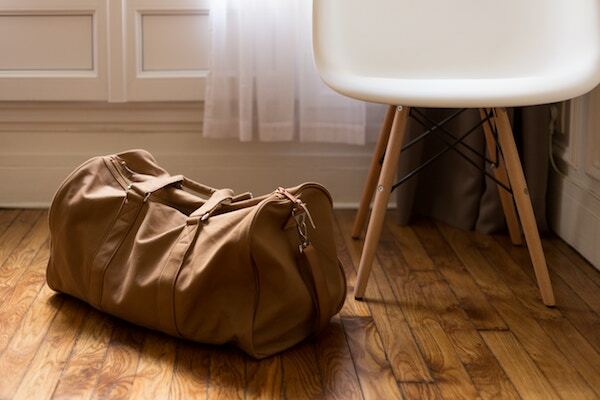 If you’re tight on space, stash them in an empty suitcase under your bed. If your guests have a place to put their stuff, it’s less likely to spill into other parts of the home. Give them a convenient spot to store their luggage, whether it’s a chair, bench, or ottoman. When you’re hosting guests in a small space, it’s important to make your daily rituals and meals as easy and stress-free as possible. Buy tasty snacks, fill the fruit bowl, and load the fridge with a variety of drink options. Leave a pitcher of water and glasses out and readily accessible to all. And, unless you’re the type who loves to whip up individual omelets or veggie quiches, opt for pre-made or quick breakfasts. Think cinnamon rolls, bagels and cream cheese, pancakes, or yogurt and granola. Even with careful planning, a small home built for one can feel cramped with two or more inside. If you feel cabin fever coming on, go out for a drink nearby, or go for a walk around the neighborhood. When all else fails and you need to make more room for your guests, use MakeSpace. We’ll store your surfboard, bike, coffee table, space heater, and more while your sibling or BFF commandeers the living room. Simply schedule a pickup (your first pickup is free!) and pack your stuff. We’ll grab everything from your home and transport it to our secure, temperature-controlled storage facility. 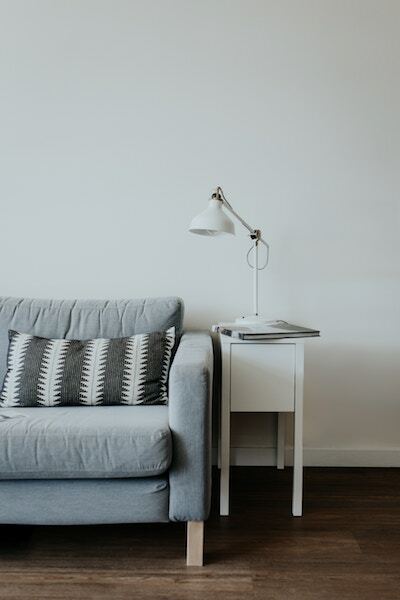 And when your guests are gone and you’re ready to restore your home to normal, just browse your convenient online photo catalog of your stuff, click the item’s photo, and we’ll deliver it back to you.